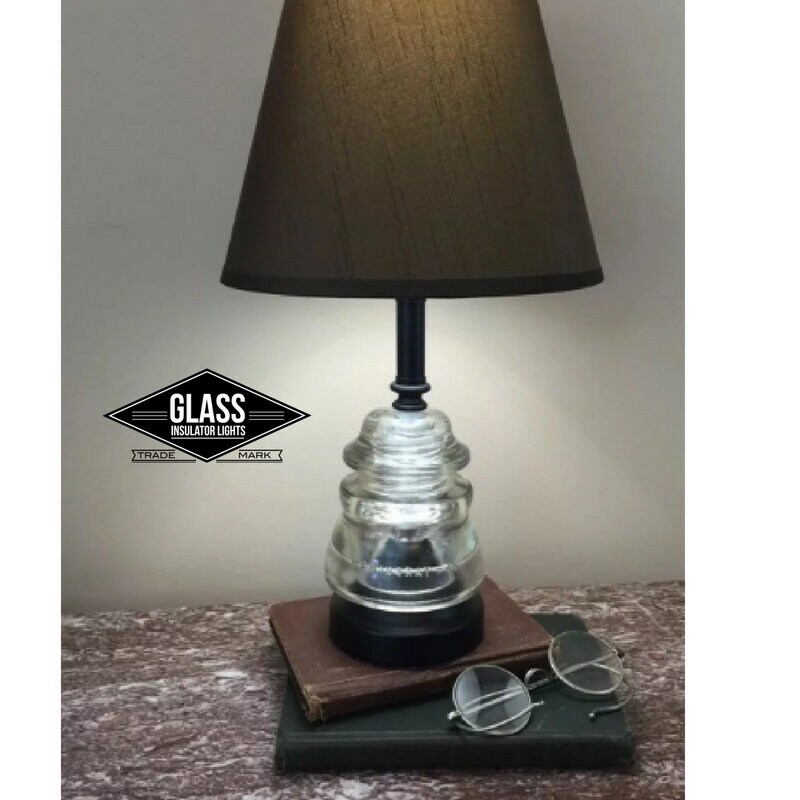 Stunning Glass Insulator Lamp with Unique Beauty and History was handmade with an upcycled vintage Hemingray Glass Insulator and New UL Listed lamp parts. 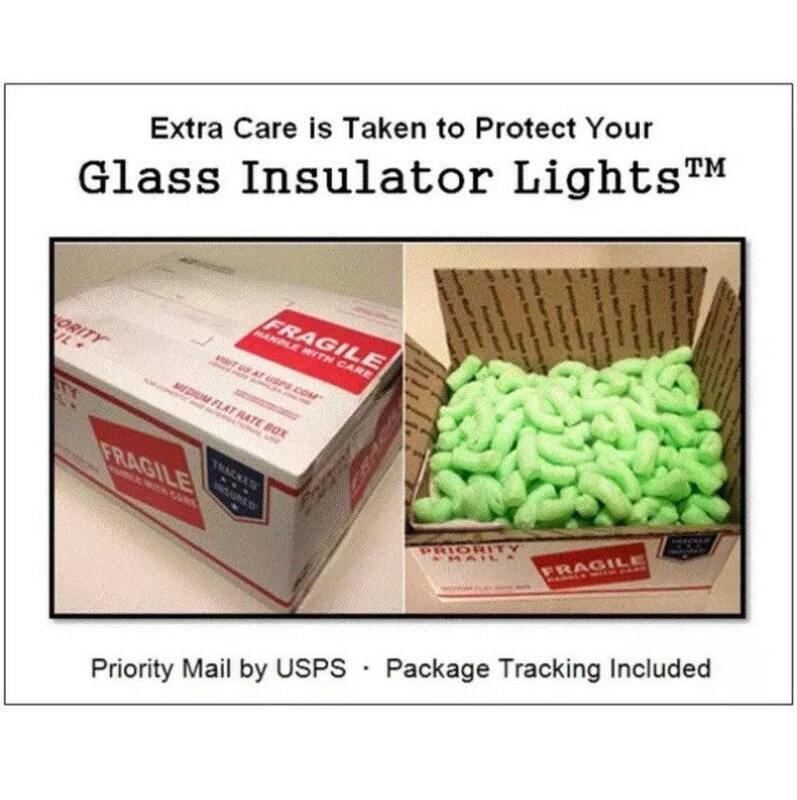 Lamps are well packaged to protect them during shipping and arrive ready for your choice of shade & bulb. 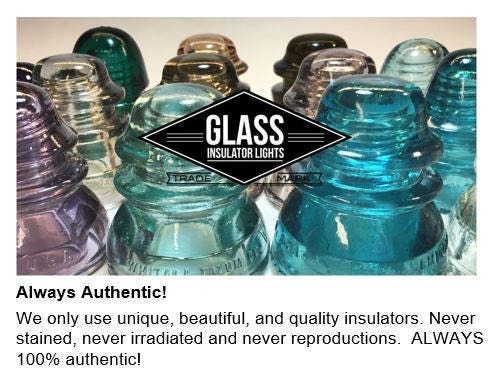 Glass Insulators have a long history. 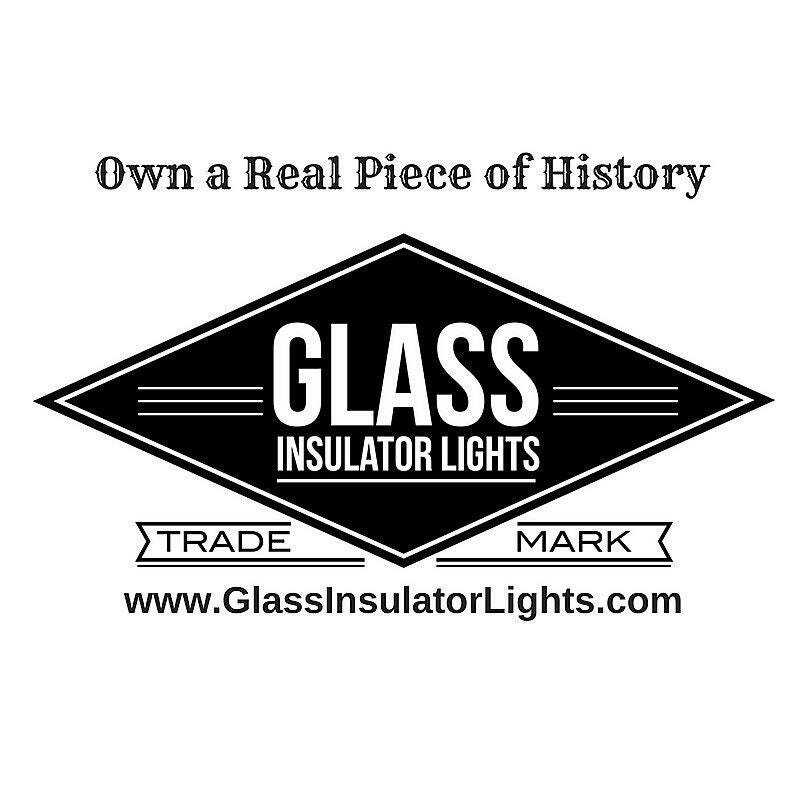 Originally produced for telegraph service they are now admired for their part in American railroad history and their beautiful vintage glass. 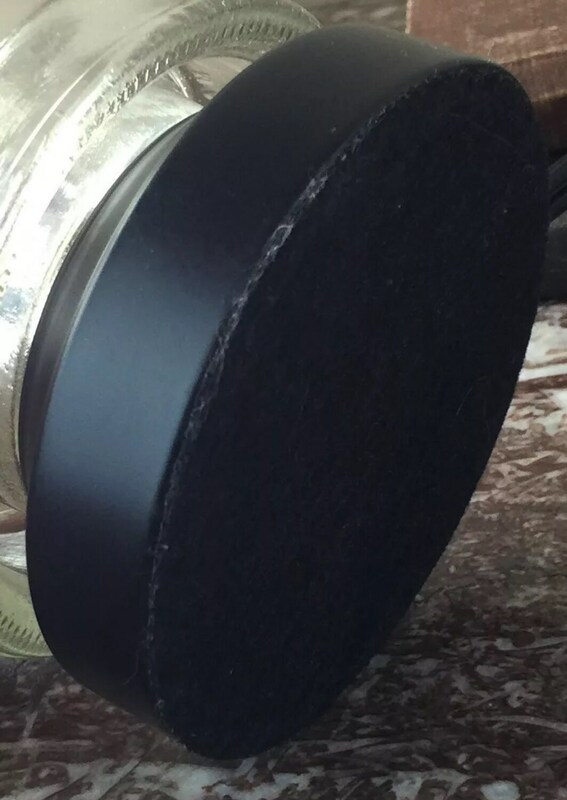 We hand clean and polish every insulator to a stunning shine and only use insulators in good condition (No major chips and no cracks). 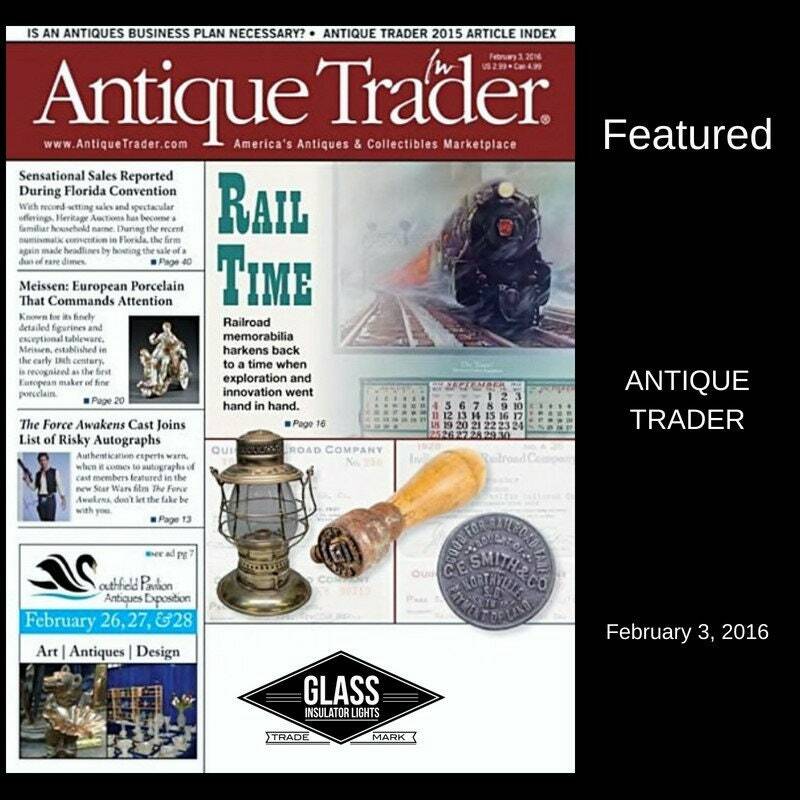 With any antique glass item expect some age wear and glass bumps.